Jim has lived and worked on the North Coast for over 20 years. Having worked in the radio industry for over 30 years, he is glad to be a part of Paradise FM. After a hard day in the office, Jim spends his afternoon after 3pm in the studio. 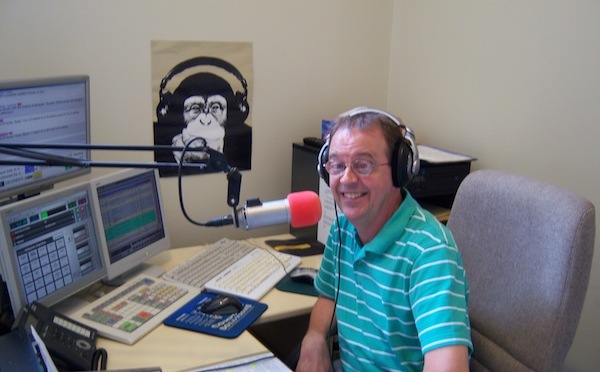 Jim loves to have fun on the radio and is often heard singing (loudly) in the studio. Outside of the station, Jim is involved with activities at the Seacoast Church and likes to “chew the fat” with friends at one of the great cafes on offer in town. Of a weekend, Jim takes time out with his family to enjoy what our region has to offer, especially our local beaches. Jim appreciates all kinds of music, particularly music from our home grown artists. He believes that radio is a great way to communicate and bond with the community. You can catch Jim from 3pm-6pm Monday-Thursday as he drives you home with more of “The Best Music of All Time”.